Taylor Swift was spotted leaving a gym in Hollywood with her BFF, Selena Gomez recently. While we’re not sure what Selena was driving, Swifty jumped into the backseat of her black Toyota Sequoia, the same Toyota she’s had for years now. 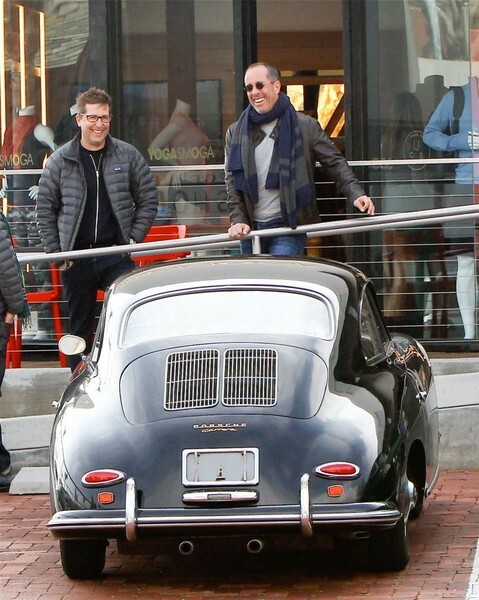 ‘Comedians in Cars Getting Coffee’ host, Jerry Seinfeld and his friend and ‘Car Matchmaker’ host, Spike Feresten were spotted hanging out in Malibu with Jerry’s classic 1960’s Porsche 356. 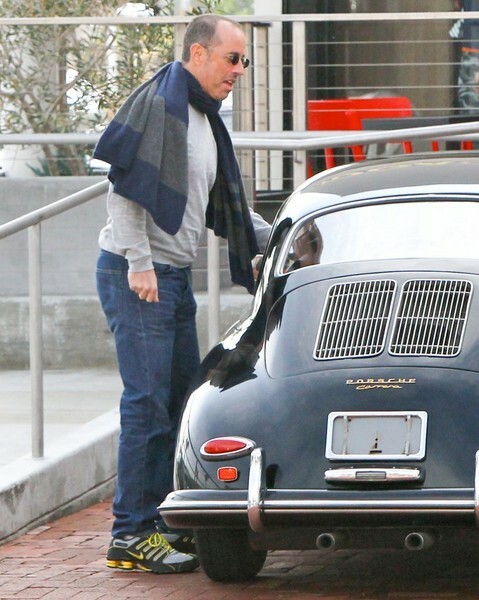 The last time we saw Jerry, he had broke down on the side of the road with this other Porsche 356. Unforunately we can’t tell from the photos if Jerry and Spike were driving separately or not, but we do know Spike has his own sweet car collection. While not quite as expansive as Jerry’s (who’s is), it’s still pretty impressive and includes a 1971 Land Rover Series IIA, his own 1958 Porsche 356A Speedster, a 1968 911L lightweight Trans-Am factory race car, a 1972 Ferrari 365 GTC/4, and a 2007 911 GT3 RS as his daily driver. What we wouldn’t give to hang with these two for a day!